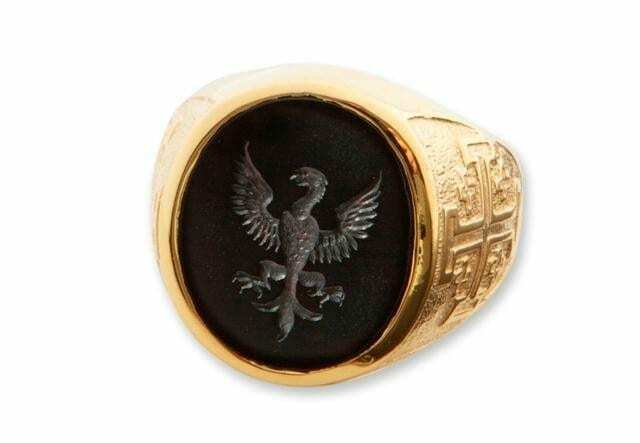 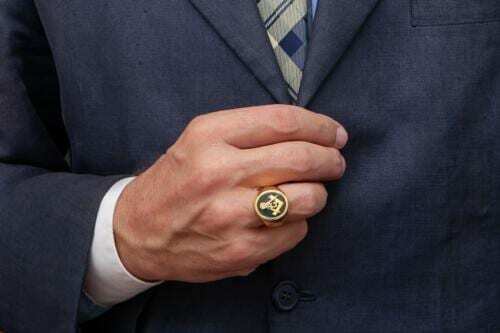 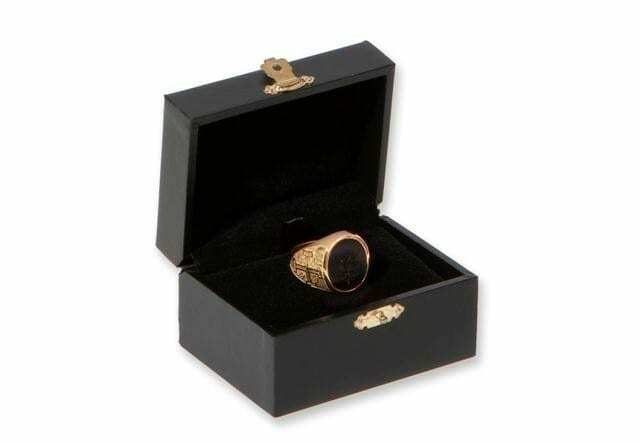 BLACK ONYX POLISH EAGLE SIGNET RING INTAGLIO HERALDIC GOLD PLATED (5 MICRONS 18 K GOLD) STERLING SILVER–A VERY IMPRESSIVE AND BEAUTIFUL RING. 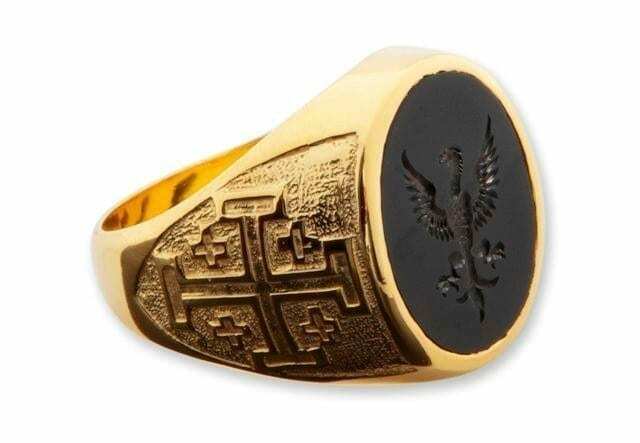 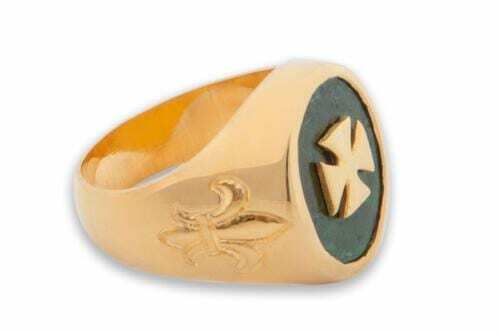 The ring carries an engraving of The heraldic Jerusalem Cross on both shoulders. 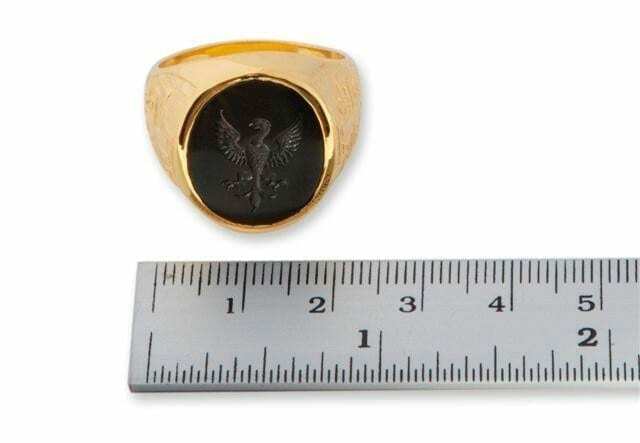 The black onyx hand crafted oval measures 18 x 16 mm (11/16 x 5/8 inch) one of our medium sized seal rings. 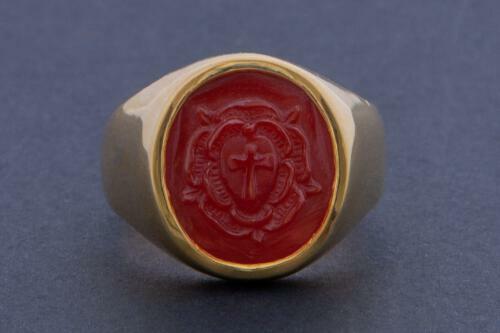 This is a hand made ring, made by true craftsmen; the same team who make our marvelous custom heraldic and signet rings.